Serving Email solutions to more than 5,785 happy customers for the last 4.08 years! Wanna BOOST Your SEO Linkbuilding / Social Promotion Campaigns with a damn simple and cheap trick?? Yep, for sure You want to BOOST them! And We gonna tell You how! It is actually pretty simple and infront of our eyes every single day... - THE EMAIL ADDRESS! Yep, You heard it absolutely right! It is the email address that plays very big role in Your submissions, publications, articles and etc.. No matter how good and professional article You wrote, no matter how good your submission looks, if only the email address You used looks spammy or is a free one, Your chance for being approved or published drops with about 95%!!! SHOCKING isn't it?!! But hey, don't get depressed! We specialize in providing HIGH QUALITY CATCH-ALL EMAIL ACCOUNTS that will DRAMATICALLY INCREASE YOUR SUCCESS RATES AND NOT ONLY... 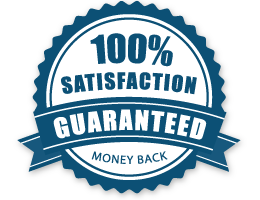 ABSOLUTELY GUARANTEED!!! Perfect for Your SEO / Online Promotional Activities! All You need to do is simply choose a domain and subdomain at your Dashboard and thats it! Your Catch-All email account is ready to be used right away! Your Catch-All Email Account is hosted on extremely powerful servers with blazing fast Internet speeds, all being monitored 24/7 to ensure maximum uptime! Your Email is hosted on custom paid domain, not a free one! That definitely skips many blacklists and raises reputation and legitimacy! We provide over 46 domains to choose from! Using different (randomly generated) email address each time provides better anonymity and blacklist protection! There is no chance of getting banned on specific email address! Unlike Free emails, We have absolutely no spam filters/folders and etc.. protection of any kind! All email messages are accepted and delivered straight to your Inbox! Email Address on a custom paid domain definitely looks better and more legitimate than a free one! Consider a moderator or reviewer looking at a submission from a free email and custom paid email, which has better chance of passing through? 46 Custom Branded Domains to choose from and counting! Boost Your GSA SER LpM & VpM Beyond the Sky! Compatible with any SEO Tool, custom software, bot and etc..
Change/Swap Your Catch-All Account anytime You wish! Instant Account Activation! Purchase with confidence even if it is 2:00 AM! How do I choose the proper plan for me? If You are doing little linkbuilding or not in a need to receive much mails a day, You can safely start with STARTER plan. Don't forget You can easily Upgrade / Downgrade your account completely automated and instantly! How and When can I Upgrade or Downgrade my plan? You can Upgrade or Downgrade Your account at any time You wish, directly from our website, paying only the prorated difference between both plans! Simply click the UPGRADE button at the top navbar once inside Your account! I just wanted to tell You I simply love my Catch-All Email account! After I dropped using Free Emails I am getting tons more confirmation emails at my Catch-All Inbox, leading to tons more verified backlinks for me! Damn I hated their Spam rules! Tremendous Addon for GSA SER! The "1 Click Import to GSA SER" is actually true! On the other side I see more and more links getting built and verified since I switched to Catch-All emails, probably due to the fact there's no blacklisting anymore! Cheers for the excellent service! Fabulous Service, Perfect for SEO Tools! I own middle sized SEO agency in my country and We deal with wide variety of tools all the time - link builders, account creators, social registrations and etc.. and I can honestly say using Catch-All Email Accounts instead of Free Emails definitely Skyrocketed our results! We plugged our Catch-All accounts into all our tools without absolutely no problem and all runs damn good! I am doing article submissions to websites on specific platform only and it was very very difficult to sneak in with the free email addresses, BUT NOW with the email addresses from CatchAllBoxes.com I don't have a miss!!! Keeping fingers crossed! Rock Solid Reliable POP3 Access! Besides all the great features and benefits using Catch-All Emails already mentioned all across the website, what I wish to add is that CatchAllBoxes.com has rock solid reliable and lightening fast POP3 access indeed! All my 20 Catch-All accounts are constantly under heavy load as I do linkbuilding from 5 dedicated servers and I never saw a POP3 error in my logs! That speaks for itself! Absolutely Well Worth its price! For the high quality of service You provide, the money You take out of my pocket each month are absolutely money well spent! You guys have the sweetest prices in the industry! After a day using Catch All emails I must say I am really impressed! My linkbuilding campaigns started producing way more backlinks and I am really really happy!